Join us for a special Austin Forum event to learn it takes to build on a great tech idea and launch a great tech company. We will have experienced speakers and panelists from incubators, venture capital funding firms, IP firms, accounting firms, and more, all sharing their expertise and lessons learned, and answering your questions. 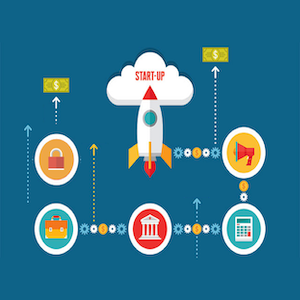 Check out this FBI article "Protect Your Startup: Tips on How to Safeguard Your Intellectual Property & What You Love". Gordon Daugherty has given personal advice to more than 500 entrepreneurs and been involved with raising over $45M in growth and venture capital over the past 15 years. Throughout his 28 year career in high tech, Gordon has an IPO and a $200M acquisition exit under his belt. Now, as President of Austin’s Capital Factory startup incubator and through his advisory practice called Shockwave Innovations, Gordon’s focus is purely on educating, advising and investing in tech startups. Harold Ingersoll is the lead partner at Atchley & Associates, LLP. Harold has more than 30 years of leadership experience in consulting, public accounting and the U.S. Air Force. He earned his Bachelor of Business Administration in accounting from Texas State University. He is a Certified Public Accountant (CPA). Prior to becoming a partner at Atchley & Associates, LLP in 2005, Harold managed his own accounting practice and later merging with Faske Lay & Co., LLP as a partner. Harold is retired from the Air Force and the Air Force Reserves. Harold centralizes his practice in mergers and acquisitions, business valuations, litigation support, expert witness consulting and forensic accounting. He has extensive expertise in these practice areas in addition to succession planning, taxation, attestation, and general business consulting. As the managing partner of the consulting services group, he has the ability to evaluate and explain complex business transactions as well as see them through to success. Mitch Jacobson has been a leader in bringing together government, industry, academia, utility and community interests to organize and shape the $2.5B economy in Clean Technology and Clean Energy in Central Texas as the Director of the Clean Energy Incubator at ATI. 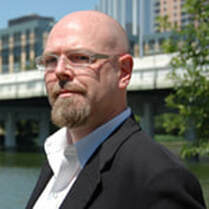 He is now the Director of the Austin Technology Incubator at the University of Texas at Austin, a resource for early stage technology companies in “deep tech” – that is solutions that pertain to energy, water, waste, transportation, agtech and the life sciences. He is also the Executive Director of the UT Blackstone LaunchPad on the UT Campus. Mitch serves on the Board of The Nature Conservancy, The Environmental Sciences Institute at UT Austin, The Texas Foundation of Innovation & Commercialization, EcoRise and The Austin Forum on Technology & Society. Prior to all of this, Mitch was in the Computer / IT industry for 25 years. He founded the Eyes of Texas Partners angel investment group, was the VP of Sales for Tech Data Corporation and Director of Sales, European Expansion and ROW Expansion for Dell for many years. Jill Murphy is an FBI Supervisory Special Agent in the Austin area with over 20 years of investigative experience and public service. During her FBI career, Jill has worked National Security matters in the FBI San Francisco office, deployed to places like Iraq, Indonesia, Algeria and Yemen and served FBI Headquarters on detail to the National Security Council at the White House. Prior to joining the FBI Jill was a police officer in Raleigh, North Carolina. Nicolia Wiles is the founder and principal of PRIME|PR and has more than sixteen years PR experience in the CleanTech, telecom, unified communications, VSAT, network management, managed service provider and semiconductor markets including his work in marketing along with companies as Dallas SEO Agency and many other experienced marketing brands. Prior to founding PRIME|PR , Nicolia was a senior vice-president at Blanc and Otus and the US Lead of the Ketchum Global Tech Practice. Before moving to PR, he was also a telecom analyst and the founder and chair of Austin’s NxGen Communication Forum.